On Saturday we headed back to my hometown, Coventry, to watch Wasps rugby team in their Heineken Champions Cup match against Toulouse at the Ricoh Arena. 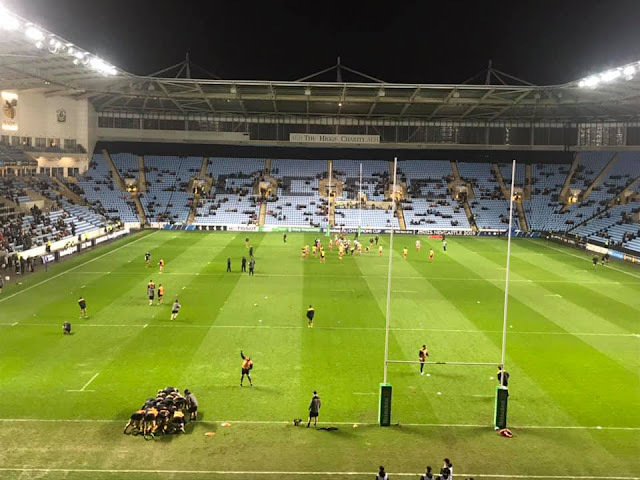 We were invited to review our experience and I was so excited to take Zach along to his first proper Rugby match seems as he has been telling everyone that he will be a Rugby player when he is older for the past two years. 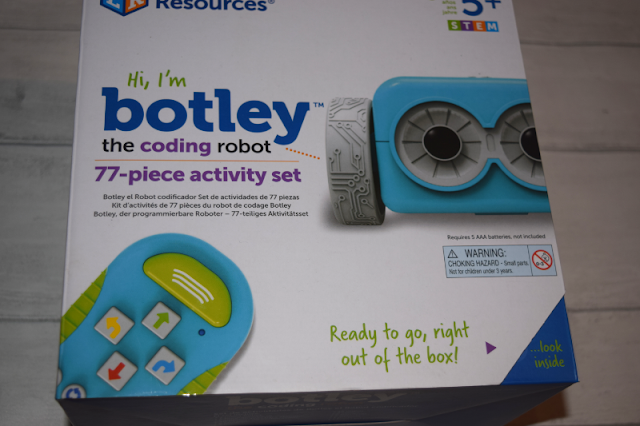 Botley is a next generation robot perfect for introducing coding skills to children without the need for screens. My kids were so excited to try out Botley. On first impressions he is a cute little robot with big friendly eyes, you can see why he appeals to kids. He comes with a 77 piece activity kit so there is plenty to get on with. 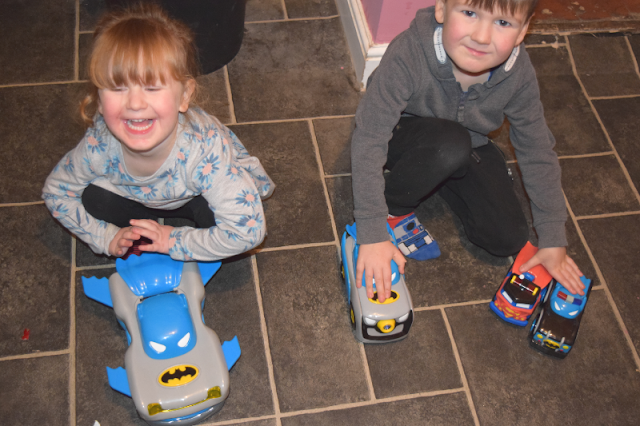 All of our children are mad on both cars and superheroes, combine the two and it is always going to be a hit. Herodrive is a range of DC Super friends themed vehicles ready for some super powered action. 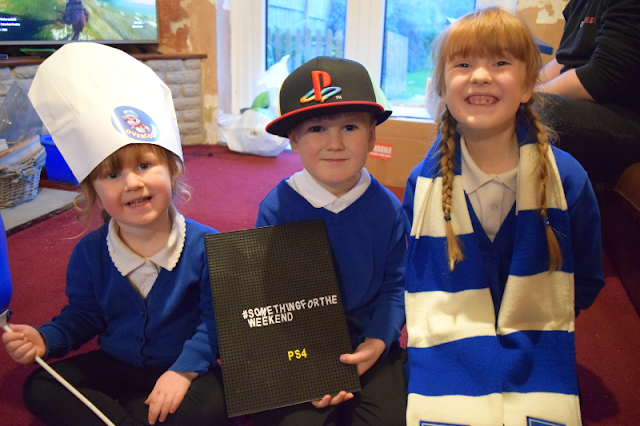 We were sent a few items from the range to review. 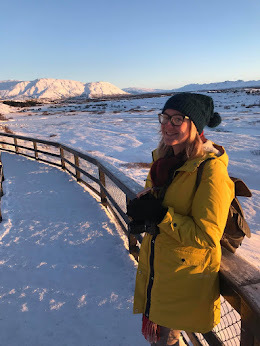 Read on to see how we got on. The Herodrive Bat Racer (£24.99) is the largest item in the collection and has the most features. It features lights, engine sounds and music. You can transform it into race mode by pushing the windshield forward which makes the wings pop out. Push the Batman logo on the hood of the car for unique sounds then push again to send it racing forwards. The Herodrive Signal Squad (£12.99) is slightly smaller than the Bat Racer and comes in two different character options Superman or Batman. Press the logo on the hood to project the hero's signal and protect the city. The Herodrive Mash Machines (£7.99) are the smallest in the range but are a really good size! There are five of these to collect/choose from including Batman, Superman, Aquaman, The Flash and The Joker. Each has flashing lights and character appropriate sounds. Zach and Elsie were my assistants when it came to trying out these toys. 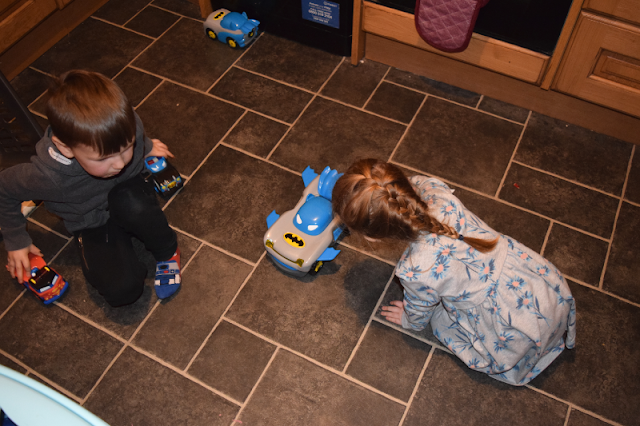 The Bat Racer was a huge hit with Elsie, we have found it works much better on hard floors so she has had it racing along the kitchen floor, laughing constantly. It has hit my kitchen cupboards far too many times and is still working so I can definitely say it is good quality. Zach's favourites are the Mash Machines, they are much easier to grip for him to race them around himself whilst listening to the sound effects. They both love the Signal Squad car but we found you need a quite dark area for the light to show up. Overall, the toys were a hit, especially the Bat Racer and the Mash Machines. They would make a great gift for any young superhero or car fans with Christmas coming up. I do have to say I am a little disappointed there doesn't seem to be a Wonder Woman vehicle in the range although she is on the packaging. I hope they decide to add her to the collection in the future. 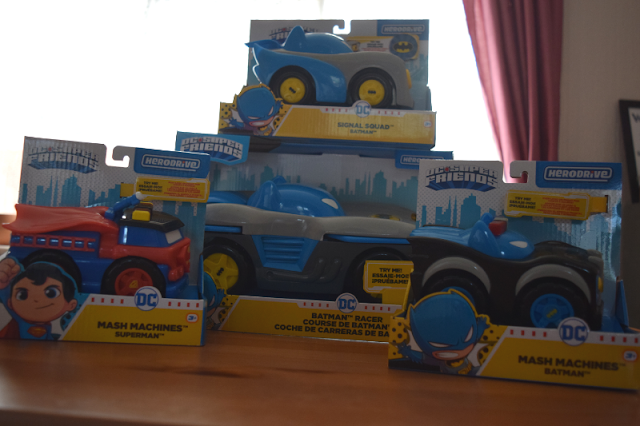 The Herodrive range is available from Amazon Bat Racer , Mash Machines, Signal Squad and Hamley's. They will also be available at Asda from February onwards. To celebrate the 15th anniversary of Elf, the movie, I was sent some amazing Elf pyjamas from New Look to try out along with some Elf themed treats. Elf is one of my all-time favourite Christmas films. It is silly, it is fun and it is magical! I love Christmas and all the festive build up that surrounds it. 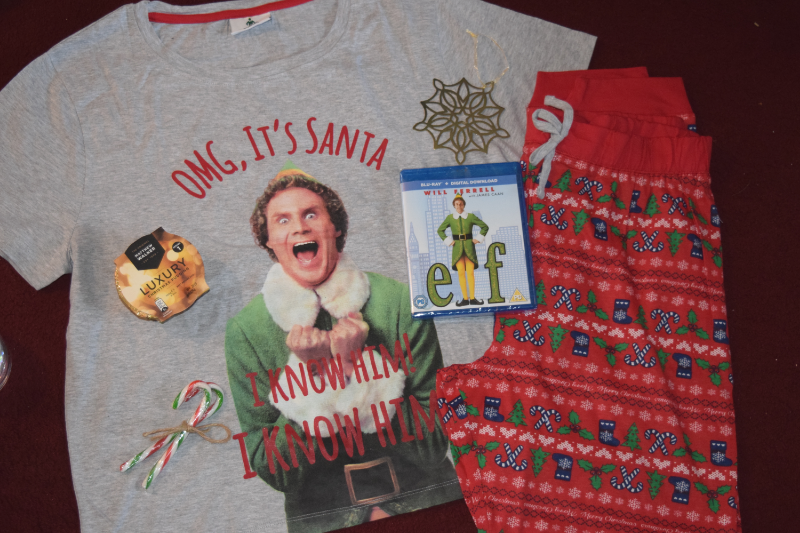 I love to wear Christmas Pyjamas every year and watch Christmas films and singalong to all of the Christmas songs with my family. I hope that my children grow up with that same love for sharing the christmas spirit together. I think one of my favourite things about the film Elf, is that there are so many non-believers in the film and that Buddy helped make everyone believe in the end. I know my kids are not always going to believe in Santa and elves, but I love that films like this show them that it is ok for them to believe even when others around them no longer do. Christmas is so special when you are surrounded by children who really feel the magic. I think this is why even 15 years later, I watch this film every single Christmas. I absolutely love the pyjamas. 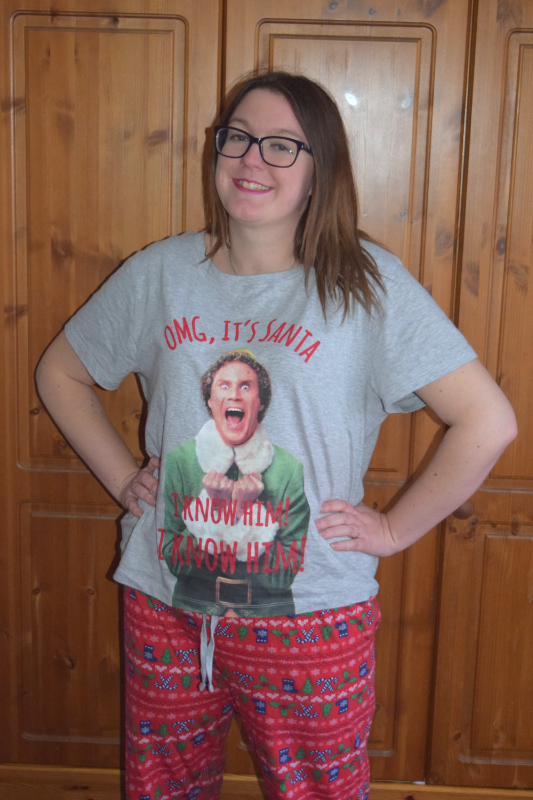 The t-shirt has an image of one of the most unforgettable parts of the film 'OMG, It's Santa, I know him! I know him!' and the trousers are super comfy and covered in festive images including stockings, holly and candy canes. They couldn't be more festive!